The Uncurated Life: Hey, Look! 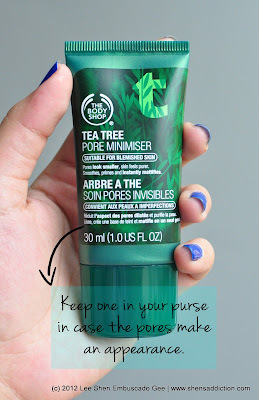 It's the new The Body Shop Tea Tree Pore Minimiser! Hey, Look! It's the new The Body Shop Tea Tree Pore Minimiser! I am Lee Shen Gee and I have enlarged pores. Brought on by genetics and pimple prone skin, for many years I have suffered seeing big holes in my skin and it did for sometime lower my self-esteem. As you all know, I have tried a lot products and have experienced the comes and goes of acne on my face. Most often on parts that people can't help but notice. My nose, chin, cheeks and forehead. I still battle acne as the day goes by. But I am stronger than this. I learned from 4 years of blogging and total immersion to the world of beauty that only a few things can minimize the appearance of pores. You need a good skin regimen, a lot of sleep and healthy eating habits and determination. One thing I recently tried and helped with my skin something from The Body Shop. 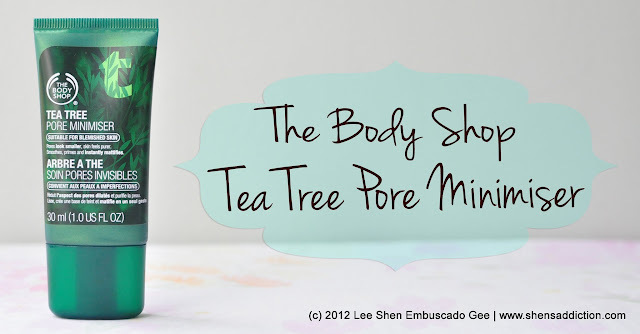 Say hello to the latest addition to the Tea Tree skin care range at The Body Shop, the new Tea Tree Pore Minimiser. Fight shine and enlarged pores with the finest that nature can offer. Introducing, the NEW TEA TREE PORE MINIMISER from our best-selling Tea Tree Range that MAKES PORES LOOK SMALLER IN A FLASH! The lightweight and barely-there texture bl...ends effortlessly onto skin to smooth, prime and instantly mattify. The result? Skin feels fresh and pure with a flawless, soft finish. Just like the rest of the blemish fighters in the range, it is infused with Community Fair Trade organic tea tree oil. Apply it before make-up or take it along with you for those quick emergency touch-ups to keep everyone guessing your secret to looking fresh and matte all-day. I have tried most a lot of products from The Body Shop Tea Tree range. From their Tea Tree oil, concealer, blemish spot corrector and masque. I currently am road testing their Facial Foam and back in college, have used their scrub. It works of course, but with products made from all-natural ingredients, it needs time. When I saw this certain tube at The Body Shop SM Hypermart in Pasig, I gravitated almost immediately. But for Php750++, I almost didn't grab it. But Php200 was slashed off thanks to their on-going promo and being a LYB member, I got 10% off more. After that, Php575 seems to be a fair price to splurge for this. I love primers. 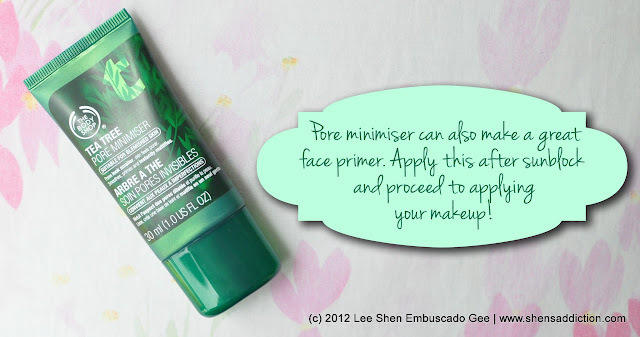 I use it almost everyday especially my Goodskin Labs Z-pore, but given how expensive some and how inappropriate I find it to use one everyday, I thought that TBS Pore Minimiser can be a great alternative to regular primer. It's not excatly a primer that makes my makeup last all day, but it certainly lessens the appearance of pores. A plus for a girl who have plus-size pore skin. Best of all, it has Tea Tree oil! Known as an effective natural anti-bacterial that can cure acne. Having this ingredient makes feel good to use it everyday. Imagine pore minimiser that also helps reduce acne. Jackpot, right? It's in a gellish form and yellowish in color but goes on clear. It's not heavy at all and i don't know f it's me but it feels cool against my skin. You'll love this since it gives a good base for makeup application. If you're oily, you can skip the moisturizer and use Tea Tree Pore Minimiser instead. It's also a great protectant from comedone build-up. If you've battled acne and in need for something to prevent your pimples from coming out again, this is a great product. 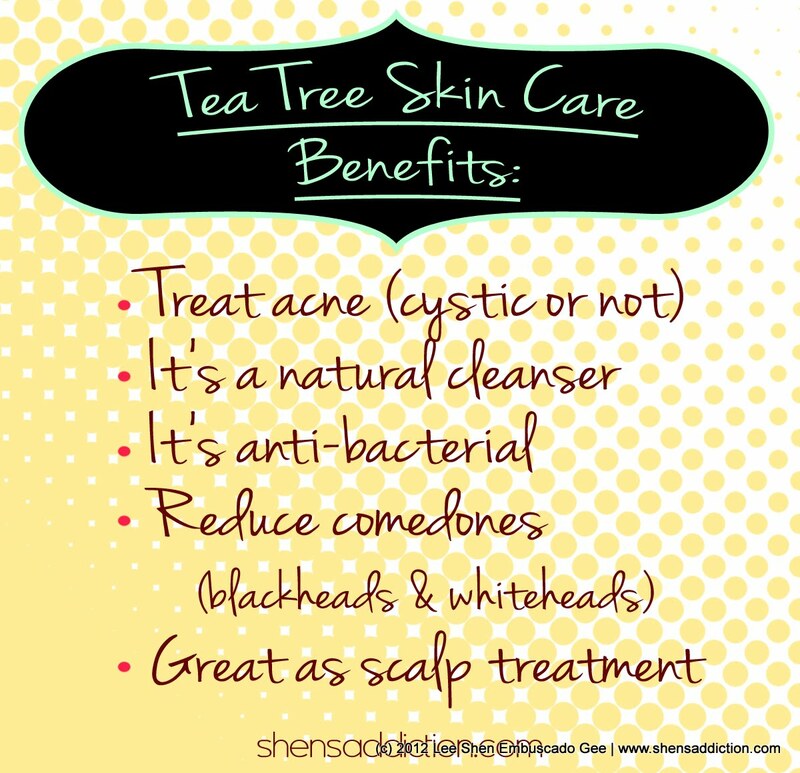 It a sort f security-blanket that whatever your skin comes in contact with, it will ard off because of the powerful anti-bacterial properties of Tea Tree. So if you are an LYB member and in need of something more than the regular acne-fighting regimen, grab a tube of The Body Shop Pore Minimiser. 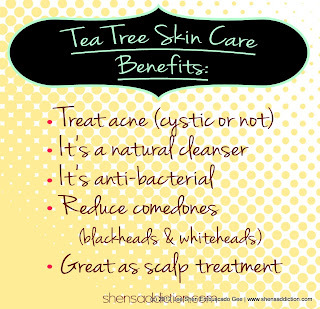 Here's a little note of the skin care benefits of Tea Tree. so which is better? this or Benefit's porefessional?